The pro-life position isn’t just how we feel. It’s not merely a belief that we hold. It is supported by very good reasons. It is based on a fact of science and a principle of justice. First, the unborn (the human embryo or fetus) is a human being—a living human organism at the earliest developmental stages. This is a fact of science. The empirical evidence of embryology shows that human embryos and fetuses are living (they grow, metabolize food into energy, and react to stimuli), human (they have human DNA and human parents), and whole organisms developing themselves through the different stages of life as members of our species. Each of us was once one of them. Second, all human beings—regardless of differences like age, size, ability, and dependency—have human rights. This is a principle of justice. Unborn children may look different from other human beings, but appearance has nothing to do with value. Unborn children are less physically and mentally developed, but toddlers are less developed than teenagers, and that doesn’t make them any less important. Unborn children are dependent on someone else, but so are newborn children and people with disabilities. We have human rights simply because we are human—not because of what we look like, or what we can do, or what others think or feel about us, but rather because of what (the kind of being) we are. So every single human being counts. 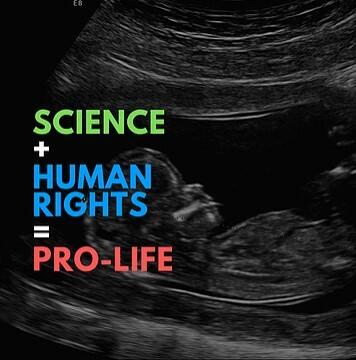 The unborn is a human being, and all human beings have human rights. Therefore, the unborn human being has human rights, which include the right not to be intentionally killed. That’s why killing unborn children through abortion is unjust. That’s why the pro-life position is actually true.